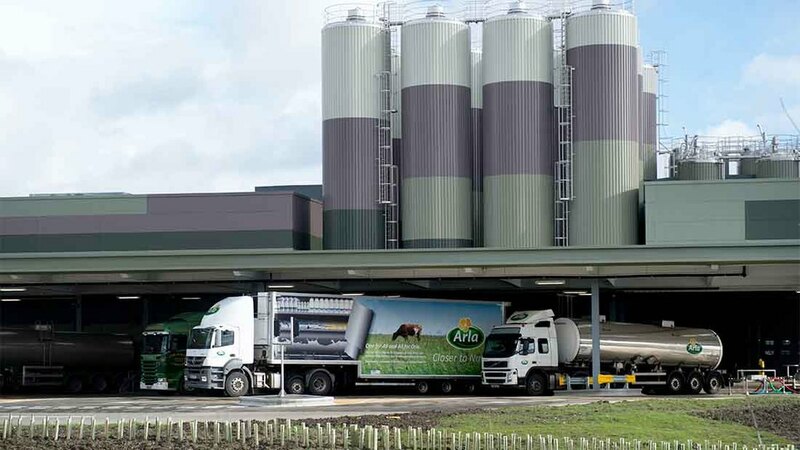 Arla has taken advantage of strong global dairy markets in delivering strong revenues for 2017 as it reported revenues increased by 8.1 percent to €10.3 billion (£9.1bn). In the UK, revenue increased to £1.94bn, up from £1.7bn in 2016. With fat prices reaching the highest ever levels, Arla had the opportunity to concentrate on increasing the prices it received for products in 2017. Chief financial officer Natalie Knight said: “What you see is a focus on us really taking advantage of increasing milk prices by driving up our sales price. Its Arla brand grew by 18 per cent in the UK, Lurpak by 9 per cent and Anchor by 16 per cent. Ms Knight said the Arla brand increase had been led by innovation with the Skyr, Protein and B.O.B products driving growth. She added overall costs had gone up, but put it down to the increased complexity of its products. The cooperative had also taken took an opportunistic approach to the trading side of its business, seizing the opportunity to sell while the markets were high. Internationally, Arla highlighted the strong performance of its Puck brand in the Middle East, its Dano brand in sub-Saharan Africa and Baby and Me infant formula in China. Ake Hantoft, chairman of the Arla foods amba board, said they were the biggest seller in the world of organic baby powder, both branded and as a supplier. Mr Hantoft added they were currently working in challenging markets with Brexit and a difficult German market. Looking forward to 2018, revenue was expected to be at a similar level between €10bn and €10.5bn. Markets such as Middle East and North Africa, China, SouthEast Asia, Sub-Saharan Africa, and the US also remained a focus this year.